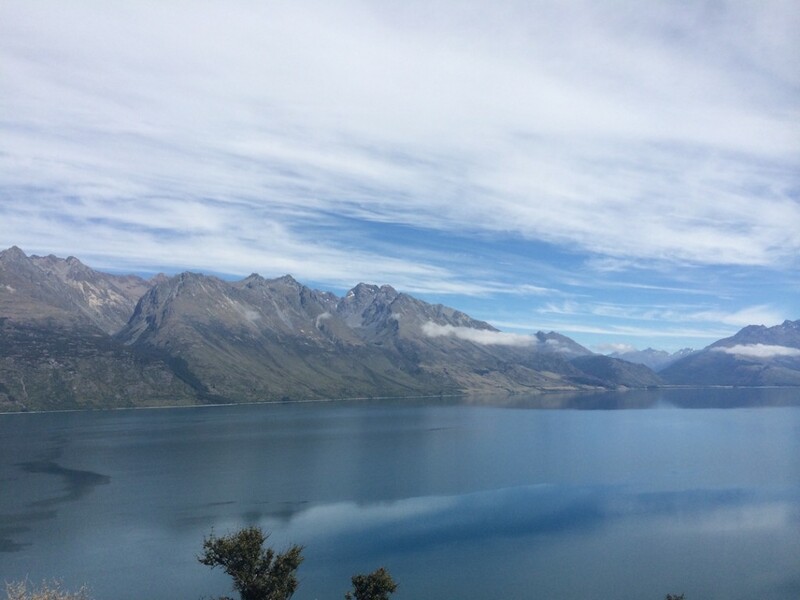 So I’ve been a little distracted by the glory that is New Zealand and have let my blog posts slide. I’m sorry for that, so let me do my best to bring you up to speed on my travels starting with our trip to Gelnorchy and Queenstown. During our third ‘weekend’ off from class (we had class Mondays and Tuesdays), Maria took a visit to the High Country. 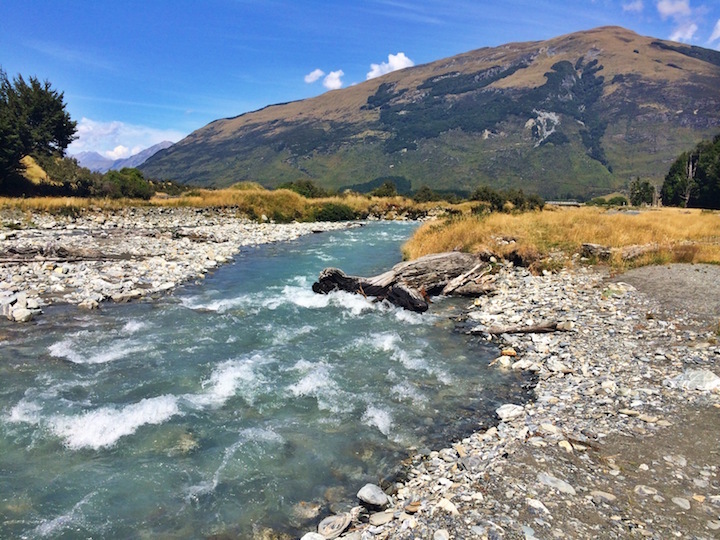 The motivation for the trip was to go horseback riding, because come on, who hasn’t watched the Lord of the Rings and not wanted to horseback ride through New Zealand? (the edoras people are my favorite). 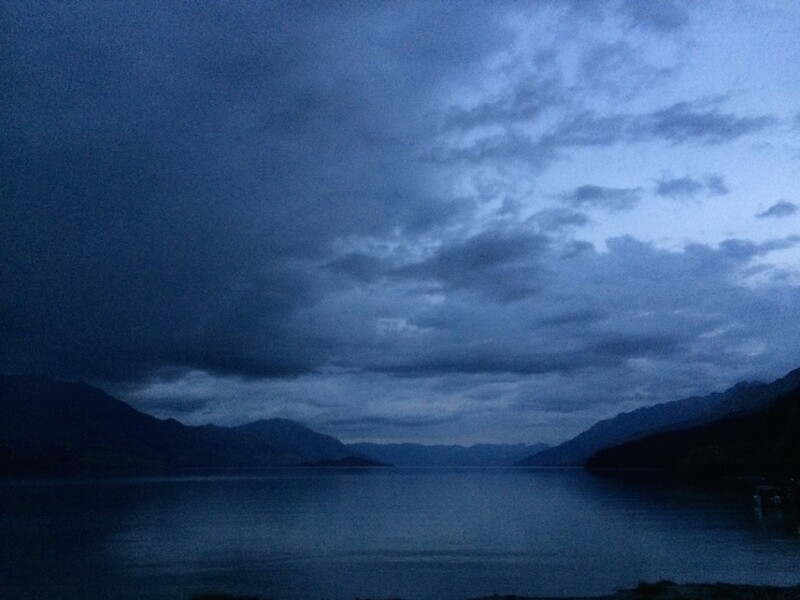 The ride out to Glenorchy, a small town on the Rees River about an hour west of Queenstown is incredible. 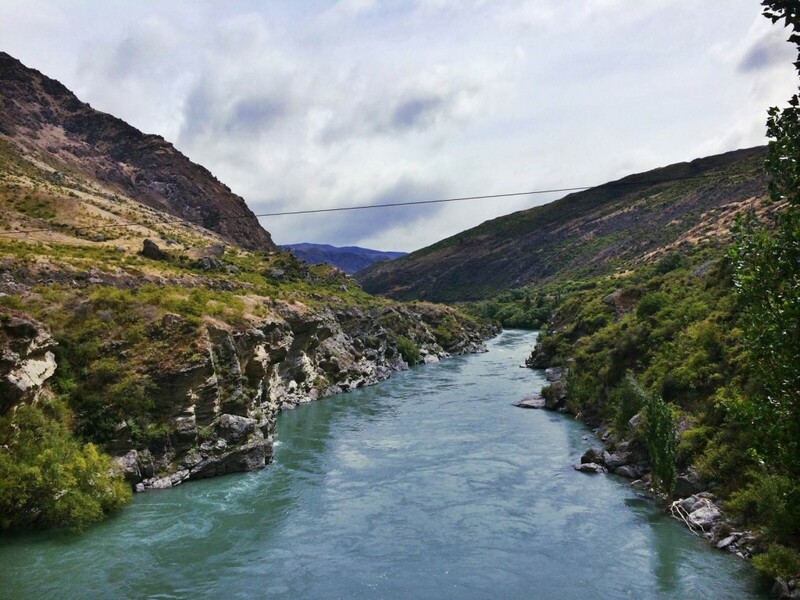 You wiggle and wind your way through very narrow mountain passes, following a turquoise river the entire time and gigantic views as the river opens. 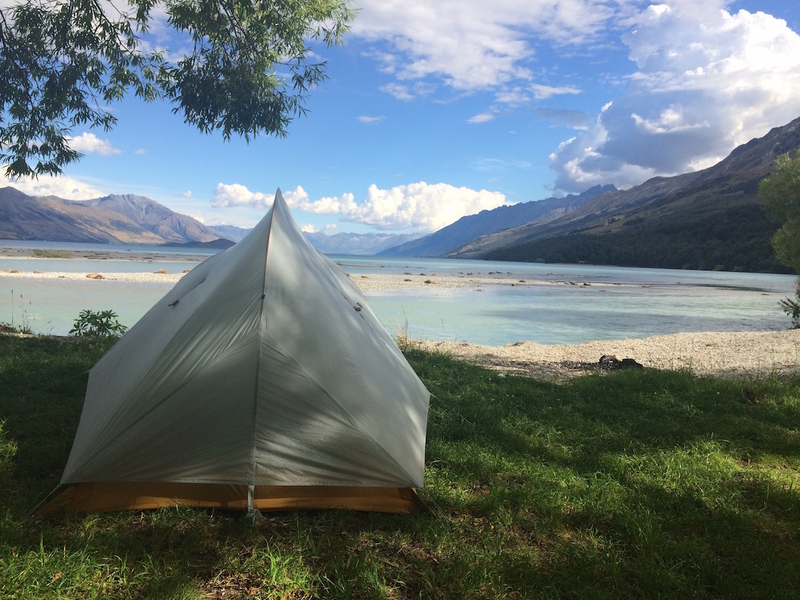 We found a DOC campsite in Kinloch Village and snagged amazing tent sites just feet from the Rees River. Views like this remind you why camping is the way to go. A note on DOC campsites, while some their campsites are built up, most of them tend to be little strips of land with nothing more than a pit toilet and a sign. What I love about these campsites is their simplicity and that they tend to be have great views. 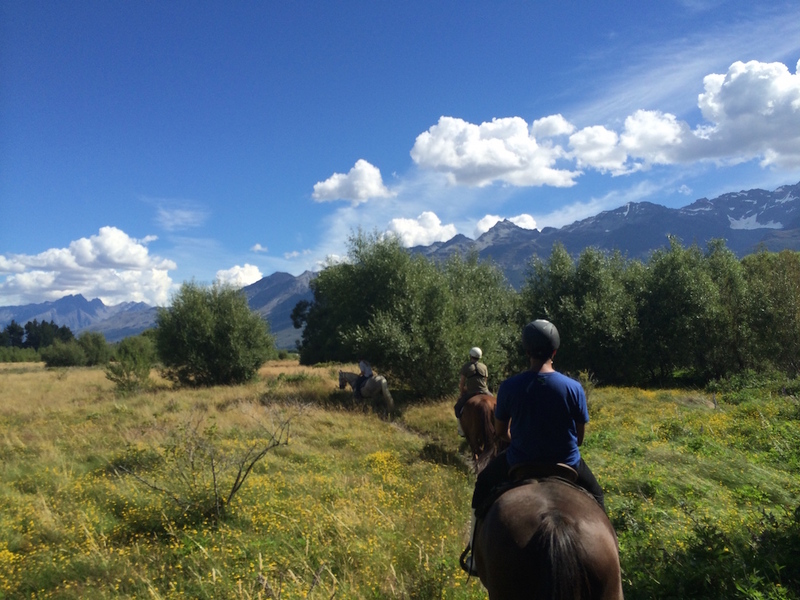 Our horseback riding tour with High Country Horses was fantastic. 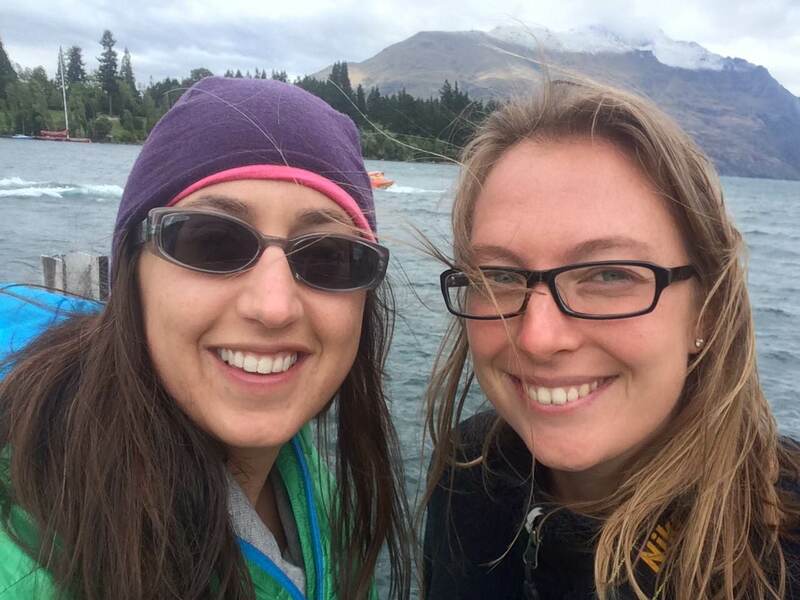 The 3.5 hour tour had us riding around and through the Rees River, into the bush in Mount Aspiring National Park and gave us great views of Mount Earnslaw and the Humboltd Mountain Range (misty mountains and Insengard for all you nerds out there). It’s been years since I was on a horse, and I found it less scary than I imagined but the turn out of my knees was so painful. After all the trekking we have been doing, the extra knee pressure was a surprised unwelcome guest on an otherwise awesome adventure. On our second day we decided to do a short hike up the Invincible Gold Mine trail to check out view of Paradise Valley. This trail is very close to the end of the Routeburn Track which we have scheduled for a few weeks from now, so we used the views a preview of what’s to come. The quick 50 minute uphill hike got our blood pumping and we where rewarded with amazing views. 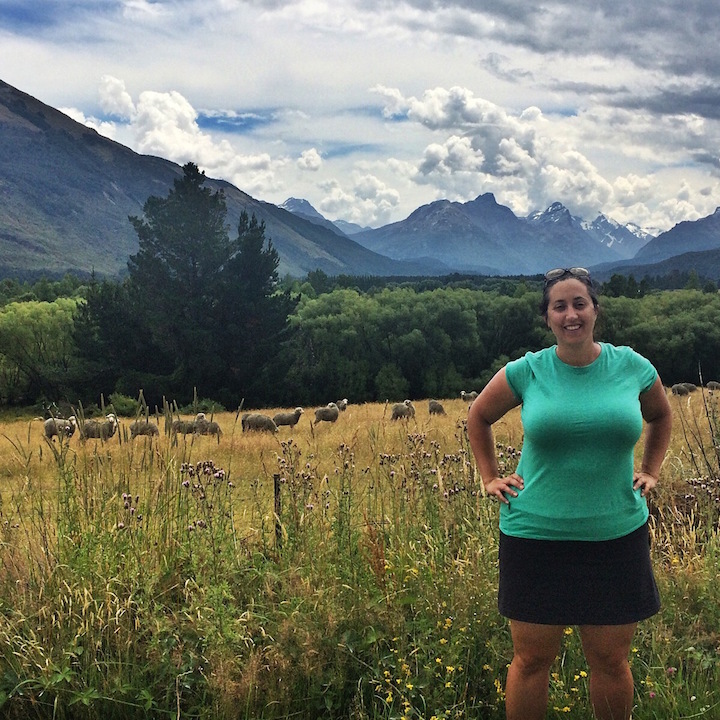 One of my goals before leaving for New Zealand was to find the merino wool sheep my Icebreaker t-shirt comes from. It just so happens that I used the traceable bar code to find the very farm my favorite Icebreaker shirt comes from and it was just down the road from our campsite. So much fun! On our second night, the rain clouds came in, giving me the perfect opportunity to test how waterproof by Big Anges Ultra Light Fly Creek 2 is. Turns out, it’s perfect in the rain! And it’s small size kept me warm all night long. Rainy camping can be fun, we played Scategories for hours watching the storm roll overhead. The only downside is putting away wet tents the following morning and finding the right place to air dry them. 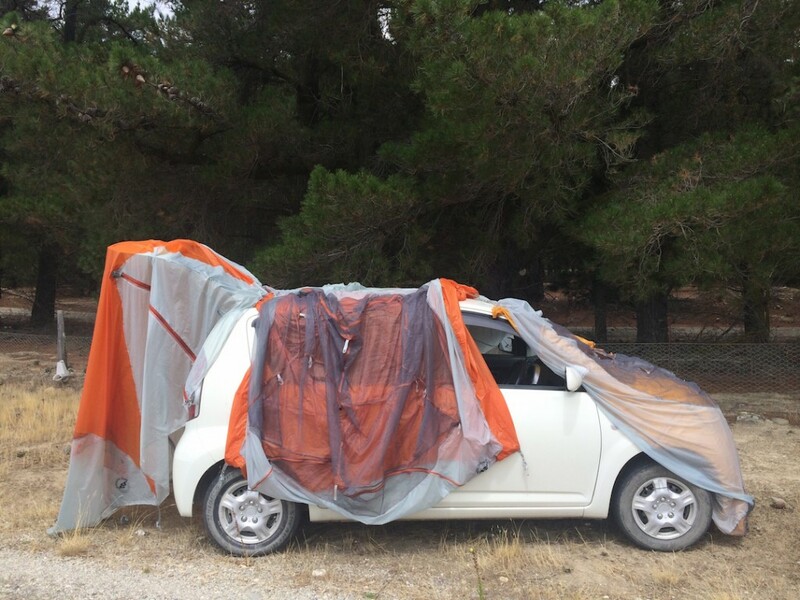 As we learned, on your car isn’t such a great idea if it’s a windy day. 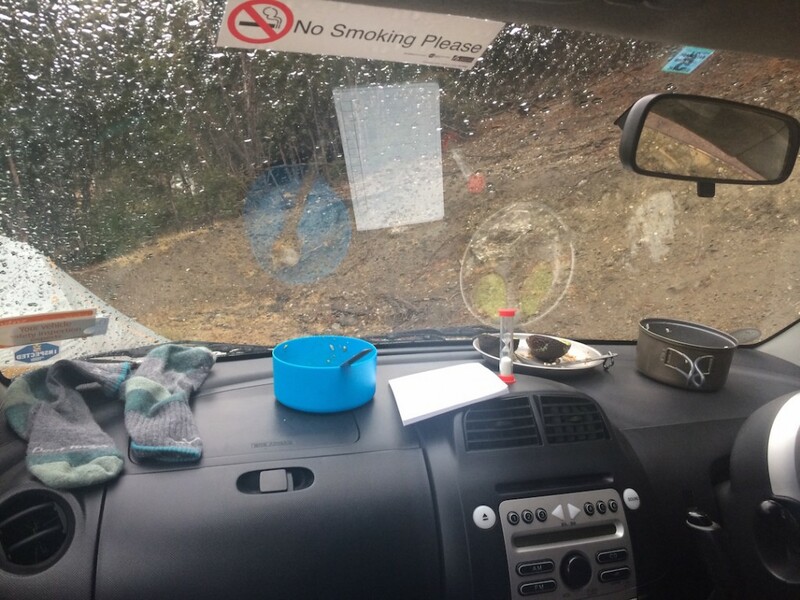 Rain day camping…eating, drying socks and playing Scategories in the car. The aftermath of the rainstorm. The tents promptly blew away. With our tents dried out Maria and headed to Queenstown for two nights to explore the city. 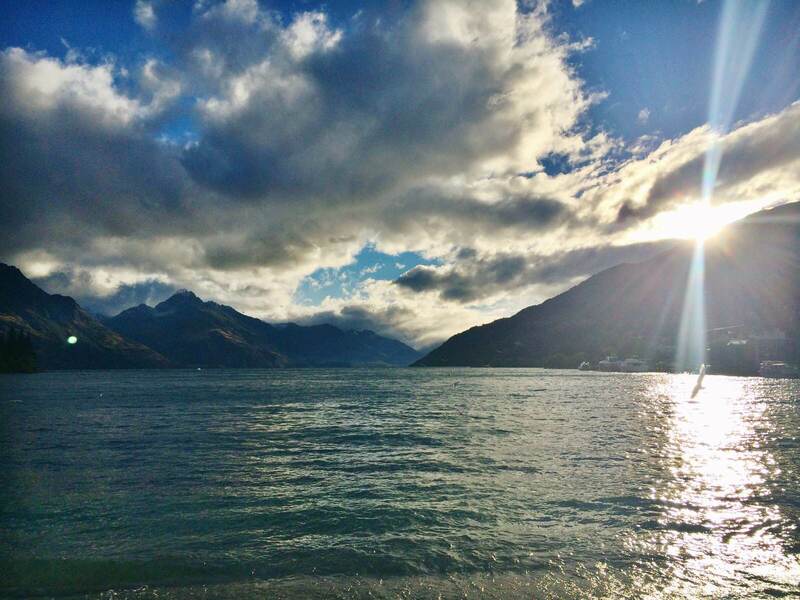 I LOVE Queenstown. It situated on a beautiful lake, surrounded by mountains and forest, so you have great views and hikes in every direction. The town is fun, full of young, outdoorsy people from all over the world. Since it’s a tourist town, everything is a bit more expensive but the food is good and there are lots of options. (which is a nice change, since most of New Zealand has the same 5-6 things on the menu and I was getting bored). 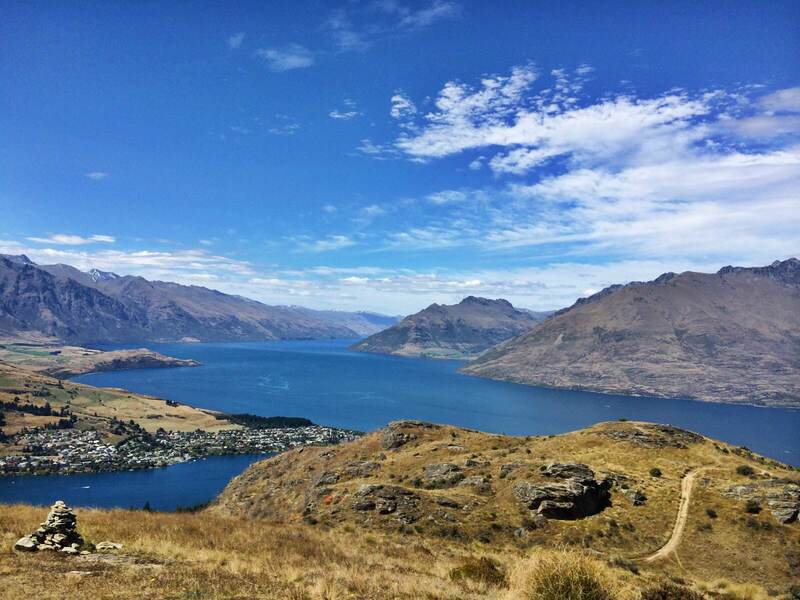 We did two common day hikes, the Gondola hike and the Queenstown Hill. The Gondola hike was alright, it’s a fairly steep wooded hike with some nice views but the top of the mountain is super busy with hundreds of people. It’s the jumping off point for paragliding, bungee jumping, mountain biking, site seeing and a luge ride. I’m not a fan of hiking for an hour to be greeted by $6 dollar coffees and bus loads of site seeres unless the view is incredible, which this is not. 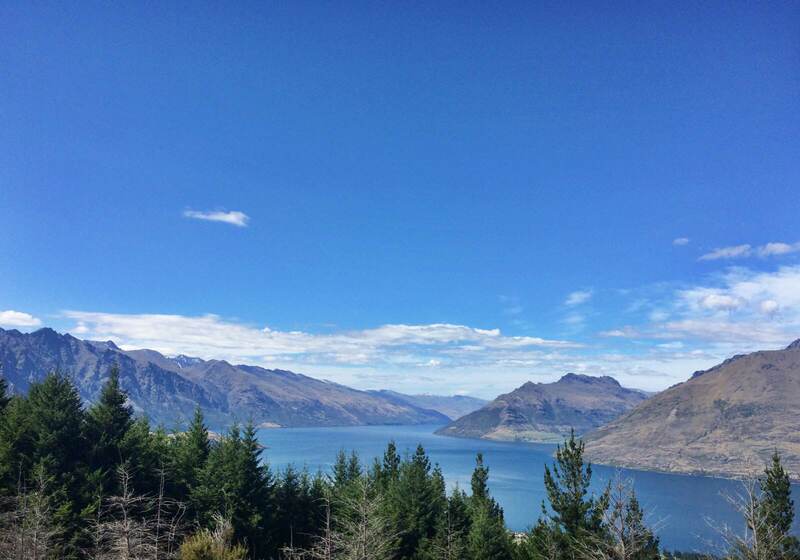 The second hike though, up the Queenstown Hill is awesome. It’s unassuming, it starts off with some very steep street walking followed by some gentle climbs through the forest for an 1.5 hrs. When you break out of the bush, the view of the lake and the Remarkable range is awesome. A further 20 minute climb takes you to the summit with 360 degree views of the mountain ranges going on as far as the eye could see. I could have sat there all day taking in the views. Happy hearts exploring the wonder that is Queenstown. I would live in this city if I could. 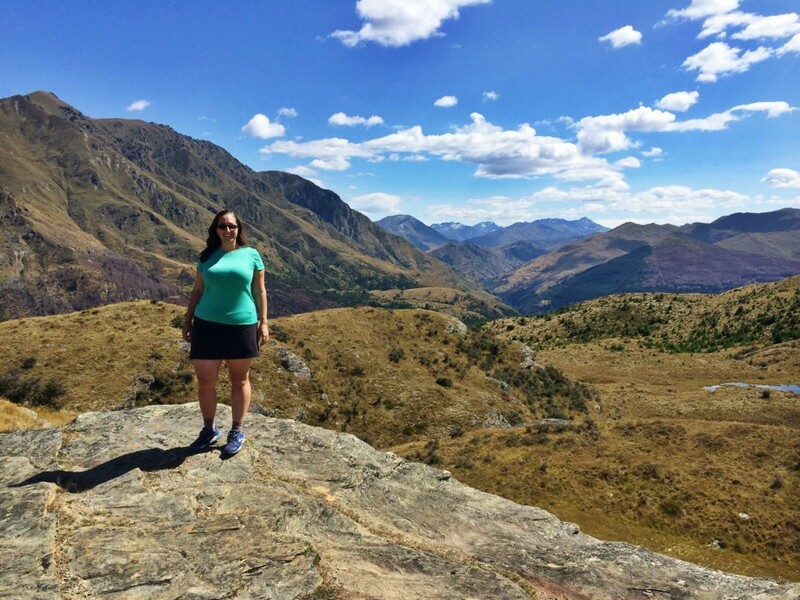 The short Queenstown Hill hike was ridiculous awesome. Mountain ranges and grassy hill as far as the eye can see. My favorite view from the Queenstown Hill. All in all, this was a great 4 day get away from Dunedin. 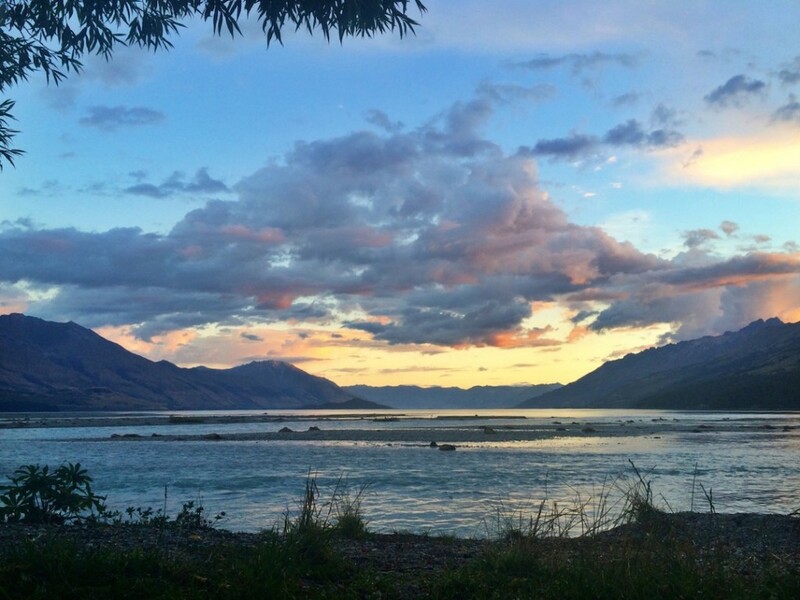 Glenorchy is a gem of a town and Queenstown lives up to the hype. 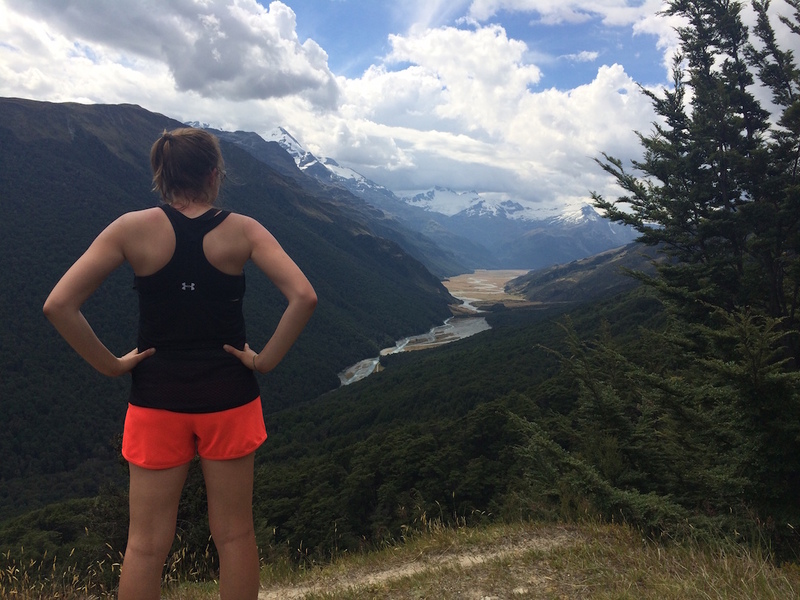 We hiked three days in a row, rode a horse, built up my trail legs in a more reasonable pace than a multi-day trek, saw some amazing views, met some great people and left to head back to school with high spirits and inspired to explore the region further when school finished.